The home of great Independent Financial Advisers (IFA) Benfleet. Independent Financial Advisers (IFA) Benfleet? 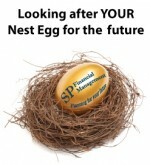 Under the strategic direction of Gary and Adrian, SP Financial Management implemented a number of changes to ensure and protect the future financial strength of the company and In 2011 the firm moved their head office from Southend-on-Sea to Rayleigh (approximately 5 miles from Benfleet). For more information on Independent Financial Advisers (IFA) advice in the Benfleet area, please give us a call for a free initial consultation.